1 Bedroom Apartment To Rent in Ashby-de-la-Zouch for £375 per Calendar Month. 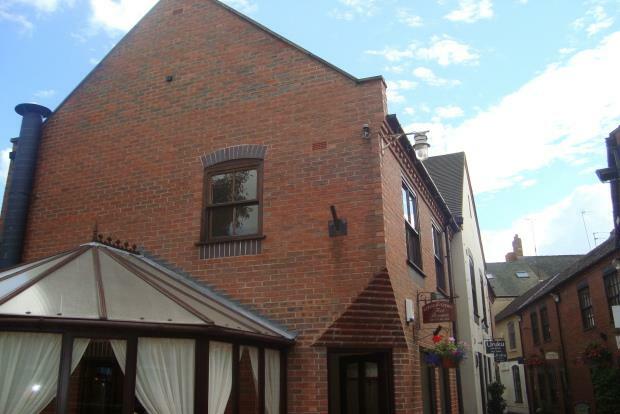 One bed first floor apartment which is situated just above the coffee rooms in the town centre of Ashby de la Zouch. There is a stairwell which leads to just two apartments and the accommodation includes a corridor leading to a good sized bedroom (approx 10' x 8'8), bathroom with shower over the bath (approx 6'6 x 5'6), light and airy lounge (approx 11'11 x 8'11) with a kitchen off (approx 7' x 6'6) which comes with a cooker and fridge. Above the apartment is a large boarded storage area which is accessed from the loft hatch in the lounge. The property benefits from storage heating and close proximity to the town centre. No pets, smokers or children please.